The Second Beach outdoor swimming pool is a large outdoor swimming pool located at Second Beach. It is an 80m long, heated fresh water pool now. Originally, it was filled with ocean salt water. It is open from late-May to early September every year. There are lifeguards on duty. It has a few 50m long lanes for length swimming and has graduated depths. 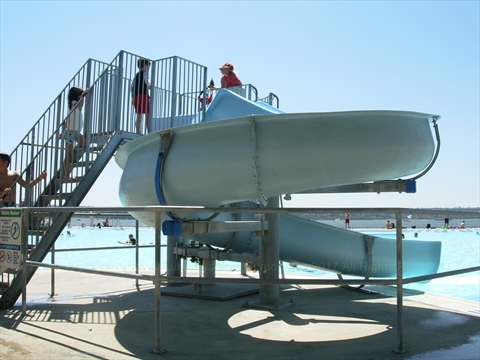 It is very friendly to children and has a large shallow area. There are also 2 slides. 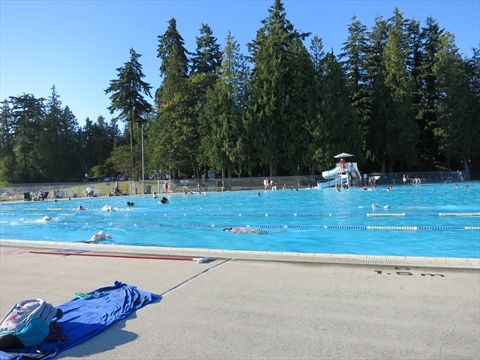 The pool is extremely popular and busy during the summer months when it is hot and sunny! During the summer there are aquafit classes held in the swimming pool. There are Washrooms and a Concession Stand right next to the pool. Children under 8 years of age must be accompanied by a guardian (16+ years of age) who must be wearing a bathing suit and in the water close to the child and in the changeroom with them. A guardian can watch up to 5 children. In 2018, the Second Beach Swimming Pool will be open from May 19, 2018 to September ?? ?, 2018. Where is the Second Beach Swimming Pool? 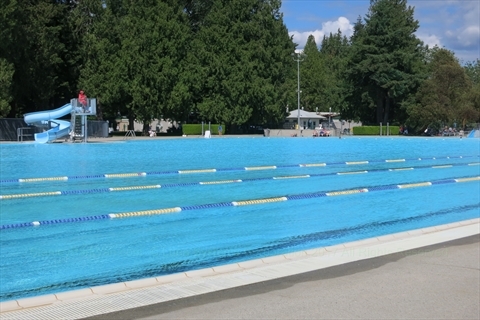 The Second Beach Outdoor Pool is located on the south side of Stanley Park on Stanley Park Drive at Second Beach / Ceperley Park. 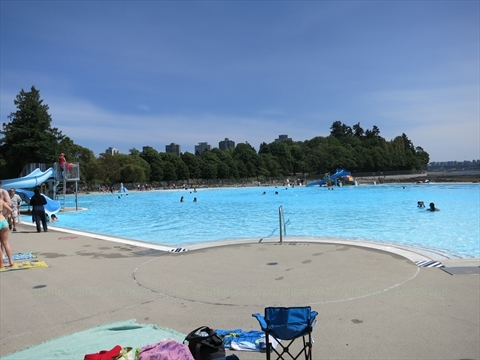 Where can you park for the Second Beach Outdoor Swimming Pool in Stanley Park? 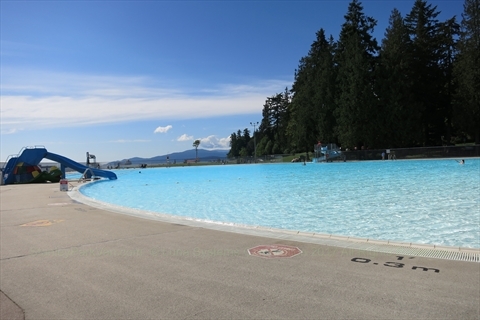 How to get to the Second Beach Outdoor Swimming Pool in Stanley Park? 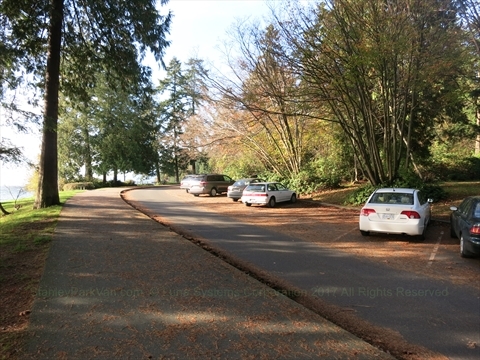 By Car: Enter Stanley Park via the Beach Avenue entrance, drive past the Stanley Park Lawn Bowling Club. On the left you will see a parking lot. This lot is your best option for parking. It is about 1 minute drive into the park. It is a short walk through Ceperley Park to the swimming pool. By Walking: From English Bay, walk along the Stanley Park Seawall until you reach the swimming pool It is about a 15 minute walk from English Bay. 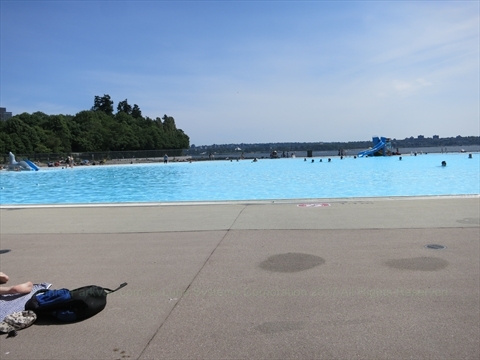 By Bicycle: From English Bay, take the bicycle path into Stanley Park until you reach the swimming pool. It is about 10 minutes from English Bay by bicycle. By Bus: Take public transit to the corner of Denman St. and Davie St. Walk along the Stanley Park Seawall until you reach the swimmming pool It is about a 15 minute walk. What is nearby the Second Beach Swimming Pool? 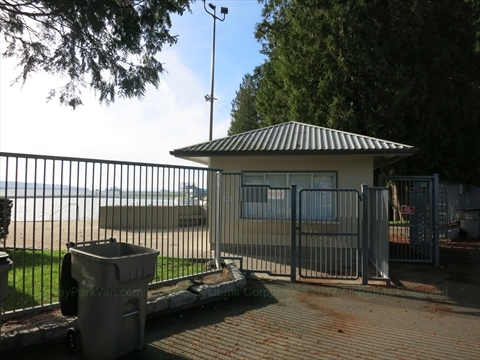 The Second Beach Outdoor Concession Stand, Ceperley Park with its 2 playgrounds, Second Beach, Stanley Park Seawall, Portal Murals, and Air India Memorial are located very close to the Second Beach Outdoor Swimming Pool.